My god that looks like you guys' kid. 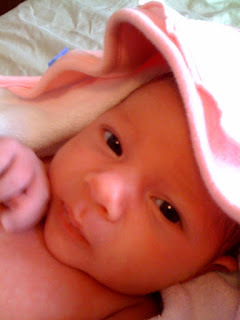 Now that she's really turning into a baby, and not a newborn, the resemblances are really, really starting to show! Yeah, Batty, it's crazy--she looks so much like both of them.